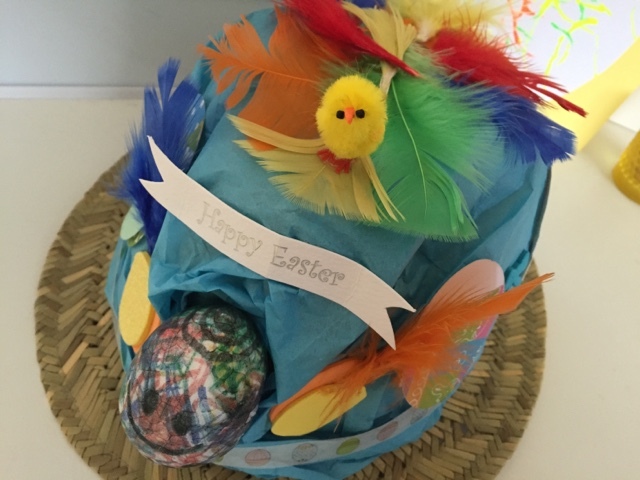 No doubt, if your child is at nursery, preschool or primary school, they will have been tasked with making an Easter bonnet. That is, they need one and you'll have to make it (if they're particularly little). I've never had to make something like this myself so I wasn't sure where to start. 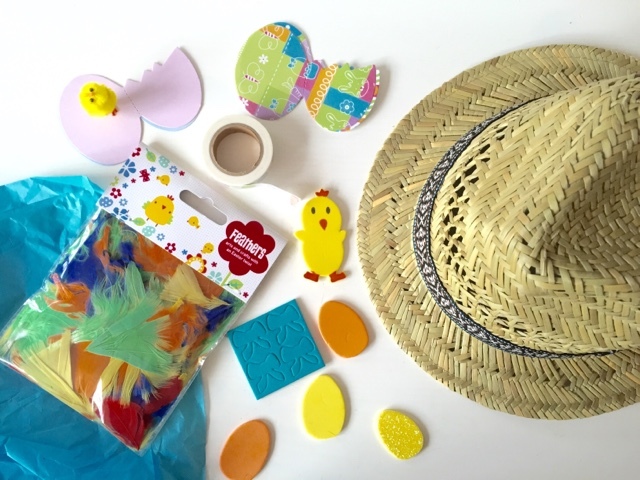 When I looked in Asda last week for inspiration, they didn't have any of the cool items they have in now to make a bonnet, including hat bases and all the trimmings (all really cheap too, so worth checking out if you're stuck). So, instead we picked up a straw trilby hat for £4. Ethan loves hats and I figured that with careful decoration, we'd easily be able to revert the hat back after Easter so he can use this as a summer hat. 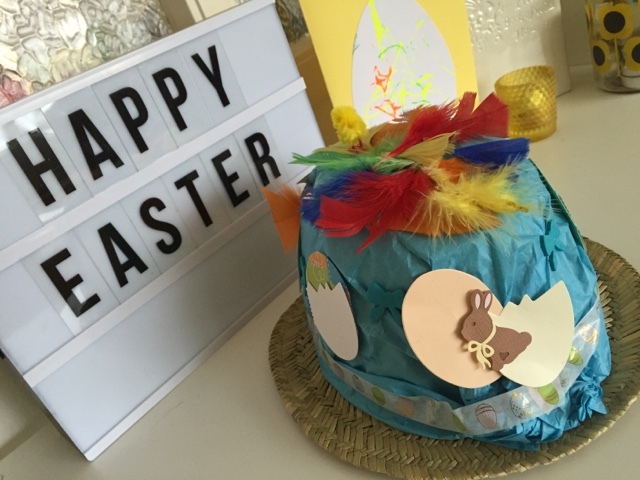 We had some tissue paper at home and I also had a few Easter egg paper shapes cut out plus feathers, so I figured there was enough to give this bonnet thing a go. Ethan coloured in a polystyrene egg for means I fixed this with some elastic at the front of the hat, looping it through the holes. I then wrapped the tissue paper around the top and fixed with some sticky dots. 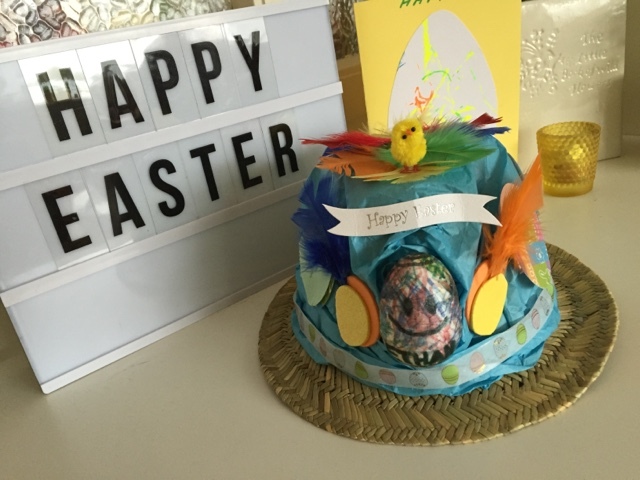 I added a banner to the front, Easter egg shapes to the sides and themed washi tape all the way round the circumference. 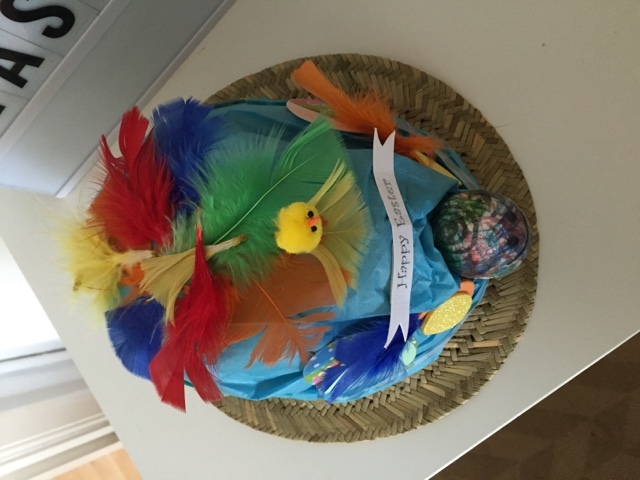 I then topped if off with some coloured feathers and an Easter chick. It's definitely looks home-made and it's bright and cheery - hopefully it will do the job! I wanted to make an effort but also not worry too much as I know it will probably be a wreck by the end of the day. Little man seems pleased with it too and I can't wait to see what fun they have doing their parade this week.